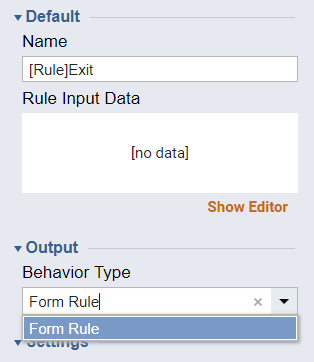 It is possible to create a custom Rule that can be used to control Form&apos;s behavior. In this example we will create a Rule that will be used to control our Form&apos;s behavior. 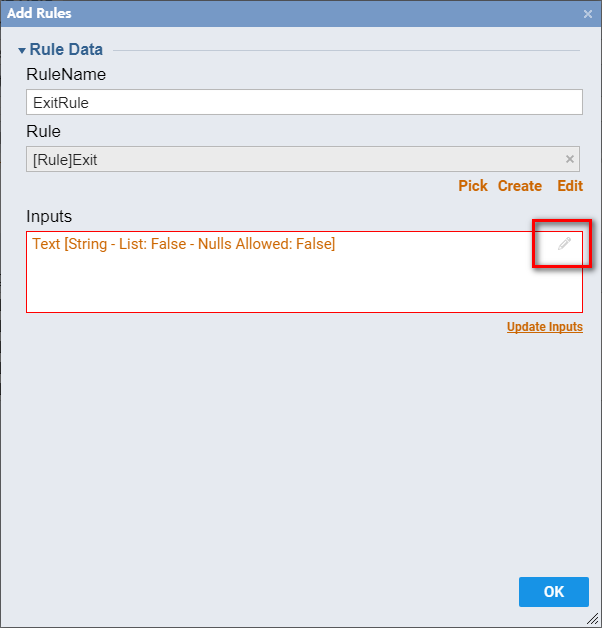 Our Rule will cause the form to Auto Exit when user enters “exit” into the Form&apos;s TextBox. We begin with creating new Rule. 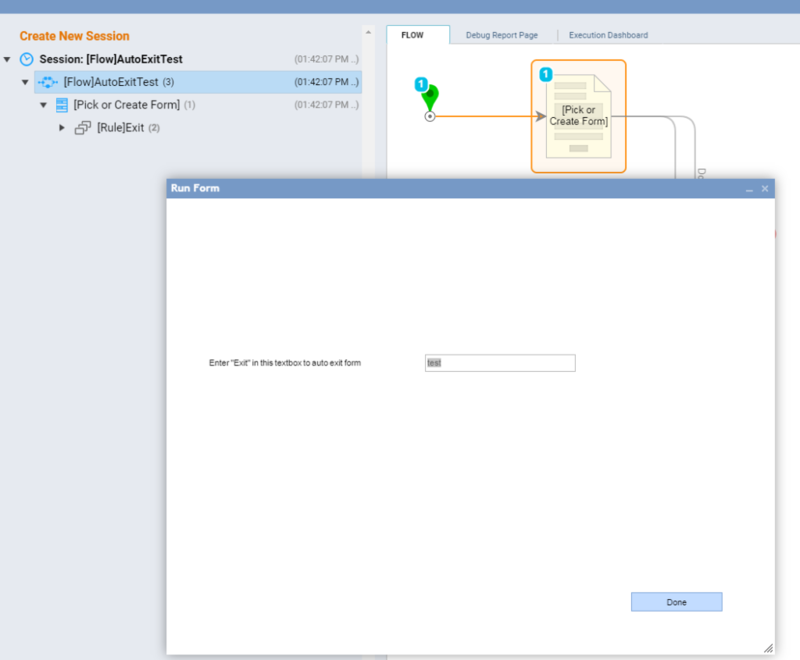 First, In the Rule Designer we locate Output	section. 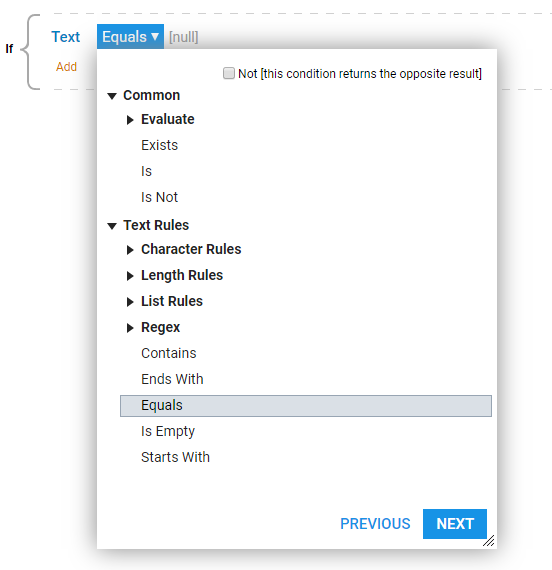 From Behavior Type	dropdown we select Form Rules. 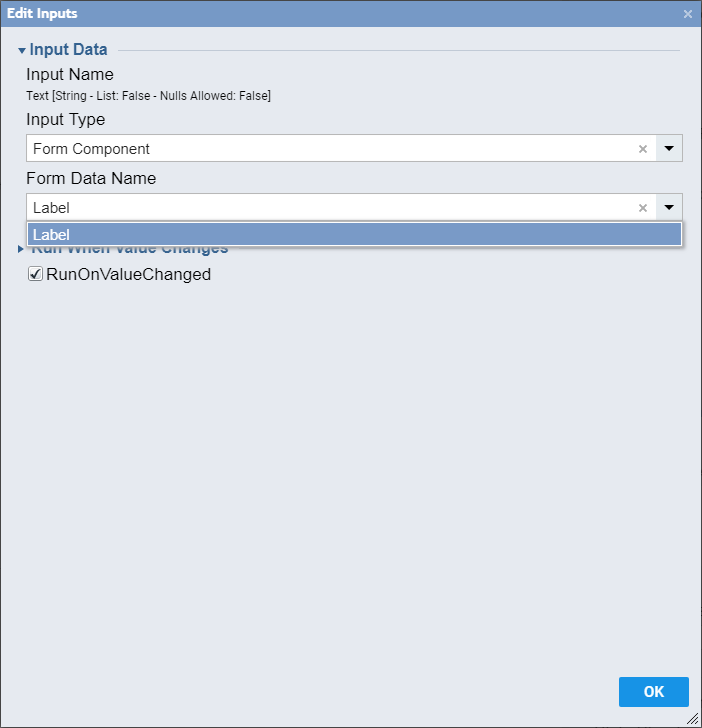 Next, we need to Add Input Data	for our Rule ... 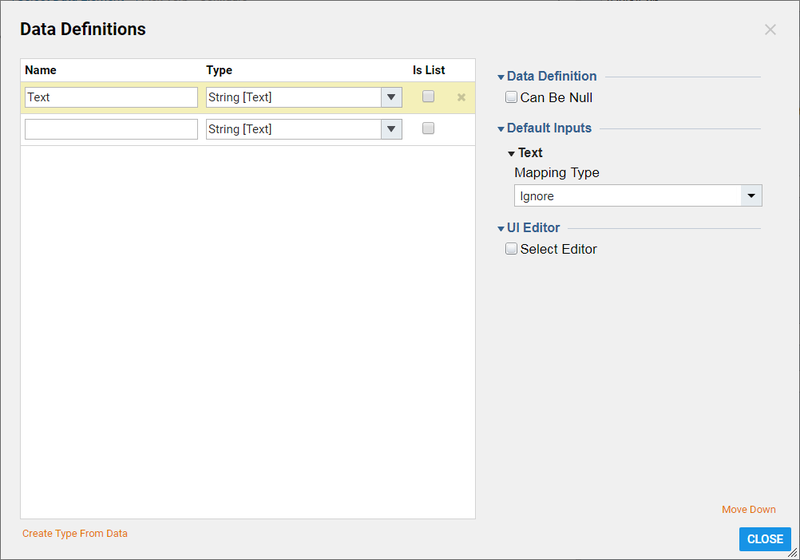 So we click Add New	under Flow Input Data Box	. We name our Data and select its Type of String	. Click Close	to save our Input Data. 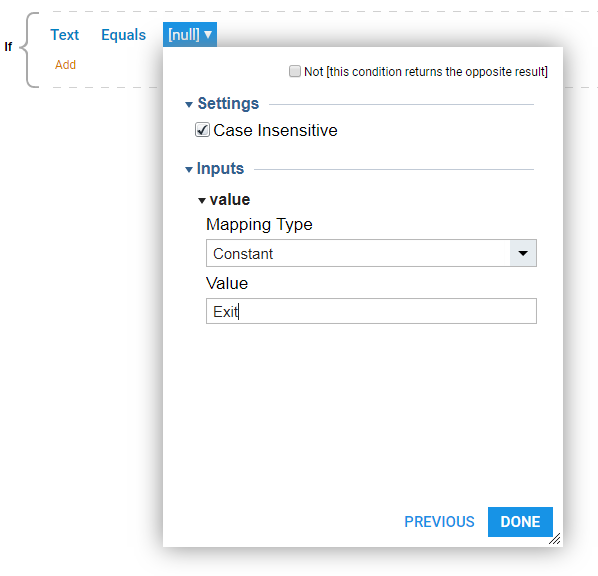 Next, on the work space we click [add]	to Add Condition	to our Rule. Our string will stay Constant . We define its Value	as “exit” and leave Case Insensitive	checkbox checked. Click Done	to finish our Condition . This completes our Rule. Save	the Rule and close it. 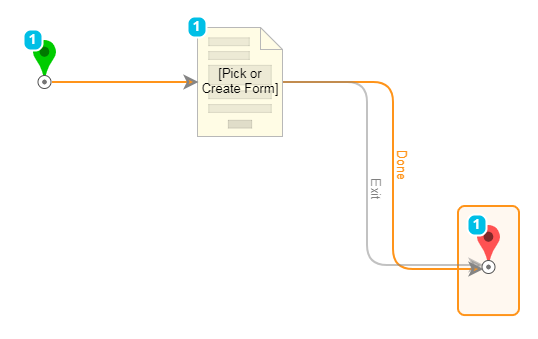 Name the Flow and click Create	to continue to the Flow Designer. 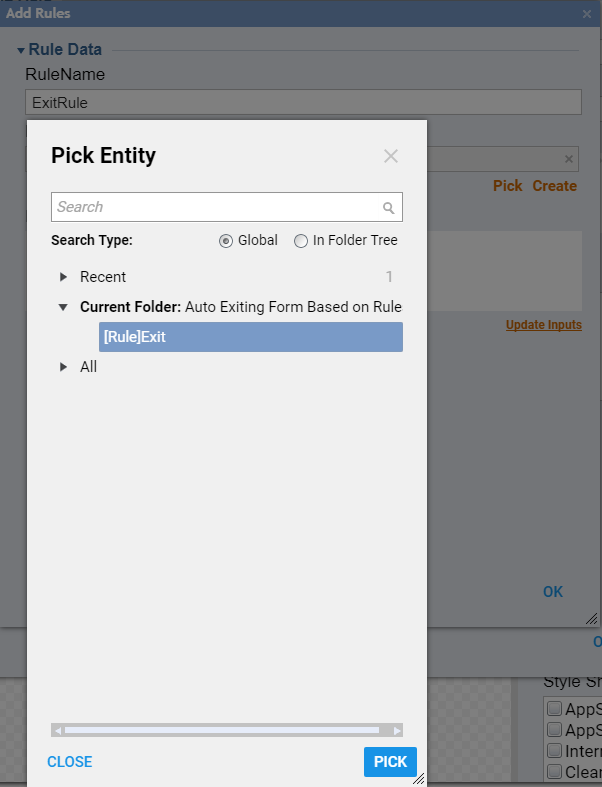 In the Flow Designer start-up window under Flows, Rules, Forms and Reports > Forms[Interaction]	select [Pick or Create Form]	and click Add	to add it to the workspace . 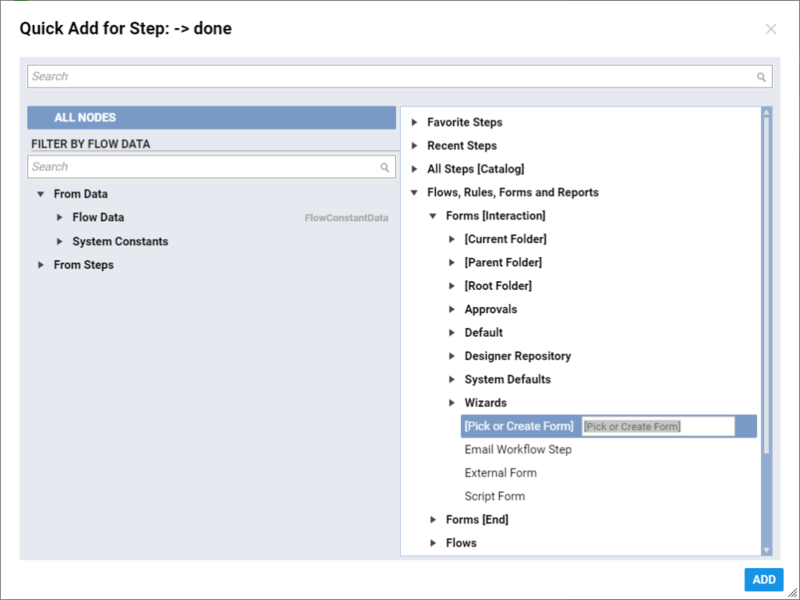 From this step&apos;s options select Pick or Create Form	... Name the form and click Create	to continue. Drag to the workspace a Label , Textbox and Action Button . 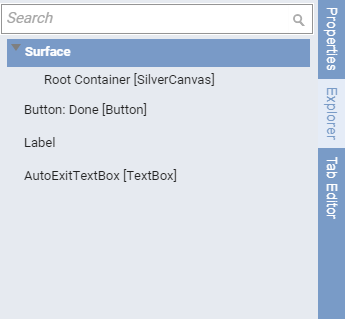 Next, select Surface	from the Explorer	. 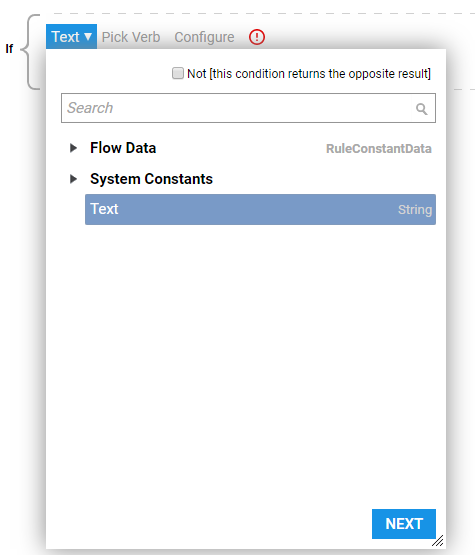 In the Surface&apos;s Properties locate Outcome Rules	and click Add New	to add a new rule that will control our textbox. 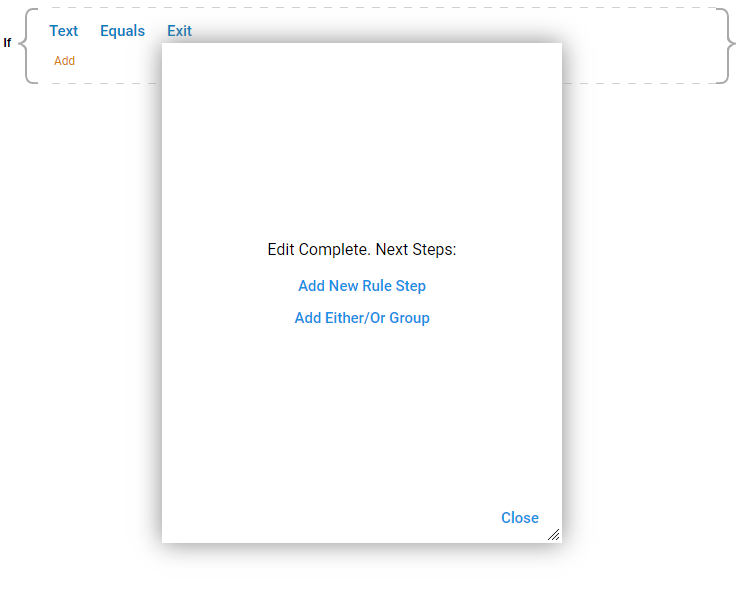 In the resulting pop-up window we give our Rule Group Name and name the Outcome Path . 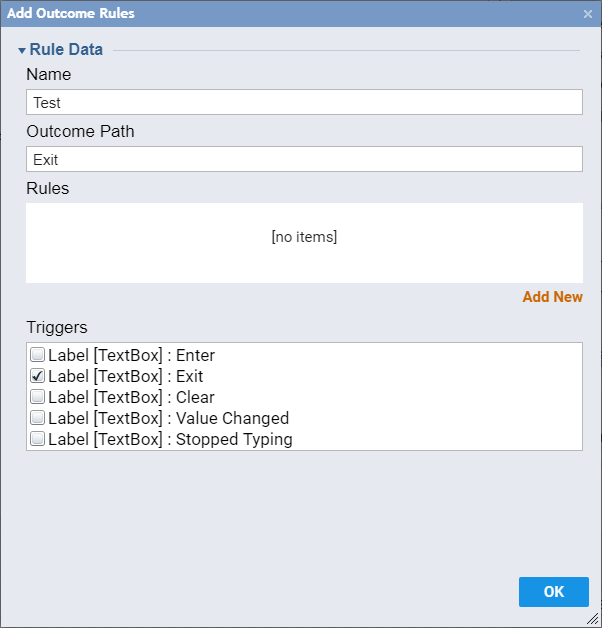 Next, we check TextBox1 : Exit	checkbox as a Trigger . Click Add	to add a Rule to our trigger. Next we name our Rule and pick our Exit Rule	that we created in the first step of this example for this form. 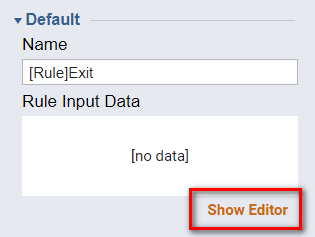 Now we need to Edit our Rule&apos;s inputs.. Click Edit	. In the resulting pop-up window change InputType	to Form Component	. From the FormDataName&apos;s	dropdown pick our TextBoxe&apos;s Name (Text). This completes our Flow. 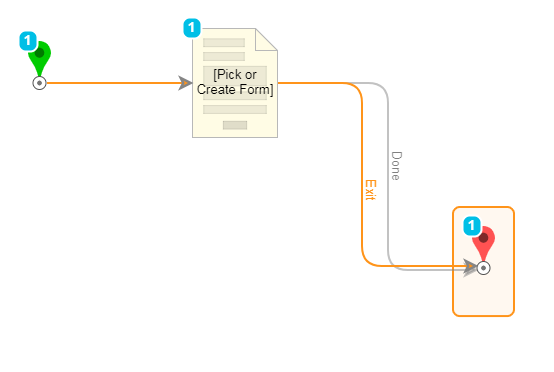 Save the Flow and click Debug Flow	from the top panel of the Flow Designer to test our Form. First in the Debugger enter something into the textbox but “exit”... 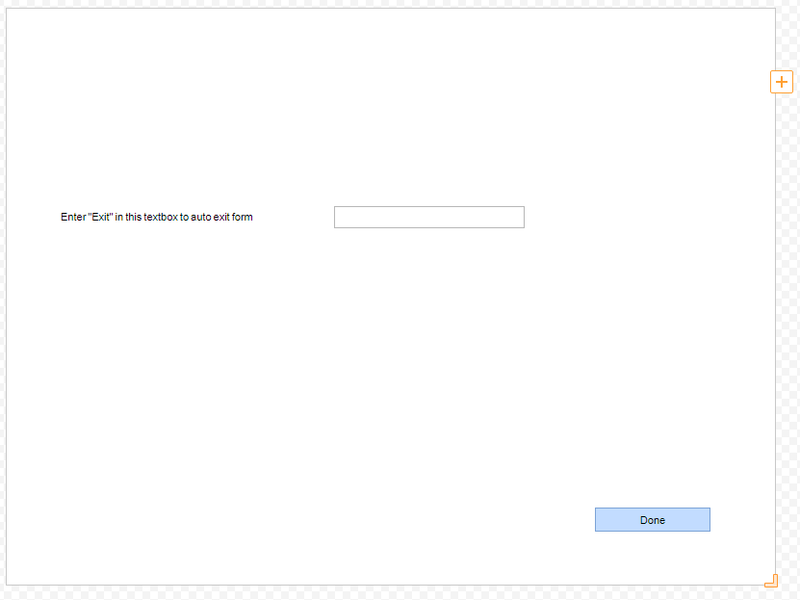 Mention that the Form&apos;s Behavior is standard and we can proceed by clicking our Action Button (Done). 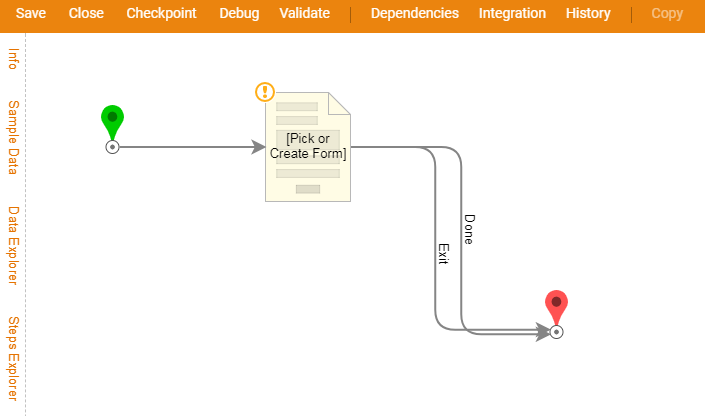 The Debug Diagram shows that the flow ran with no errors again but this time it came to the end step on Exit outcome path.